Indonesia International Electronic & Smart Appliances Expo 2018 is the International fair to give home electronic product and appliance manufactures direct access to supplier, agent and traders. Manufacturers have an opportunity to showcase a wide range of quality and their latest products. IEAE is a best opportunity to get direct access into the Indonesia market. 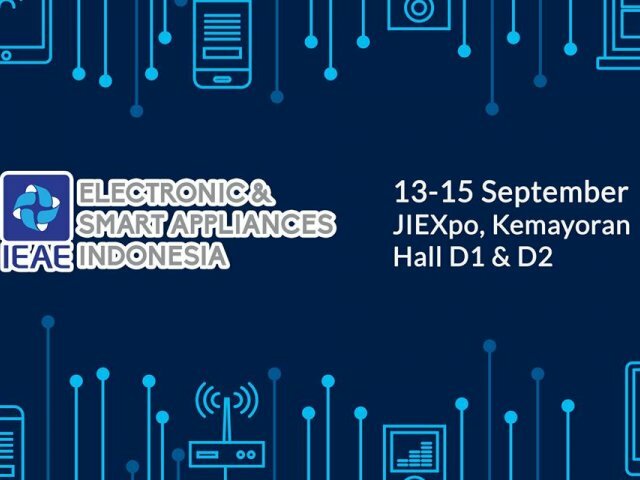 Indonesia International Electronic & Smart Appliance Expo will be take place at Jakarta International Expo, Kemayoran from 13-15 September 2018.